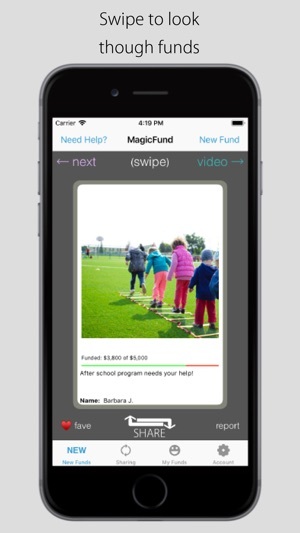 Start a fund and receive donations as people share your crowdfunding campaign across the web. 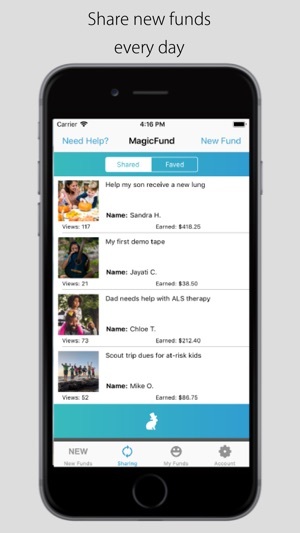 No need to hit a specific goal, MagicFund is a new way to crowdfund that encourages the most direct donations and money for people in need. 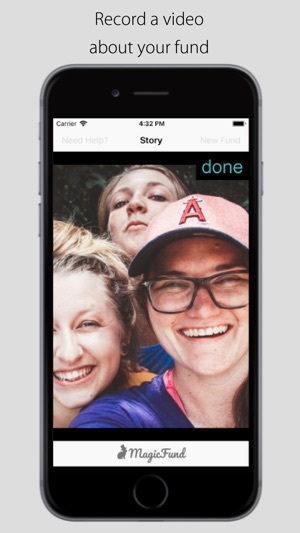 Give your new fund a name, record a 60-second video about your cause, and watch as complete strangers share your fund and story within their network of caring people, ready to donate and support your campaign. 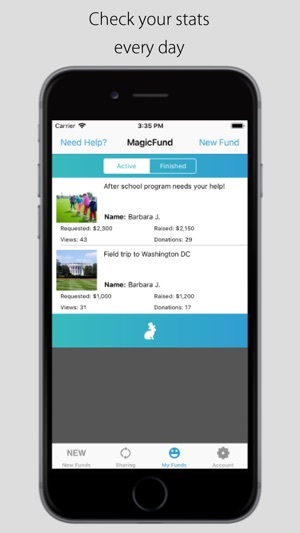 You don't need tons of social media friends or national publicity for your cause, MagicFund incentivizes influential and caring people to support your fund by giving them a 10% commission for every donation they bring to your crowdfunding campaign. People who don't even know you will gladly share your fund across their network of friends and increase the chances of hitting your fund goal. 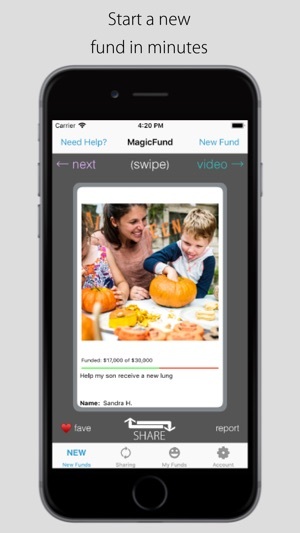 MagicFund makes sure your crowdfunding campaign receives the most publicity as possible. We build your crowdfunding audience for you. Join the new frontier of crowdfunding where it’s no longer a popularity contest. Influencers can help anyone with a great cause and a great idea for a crowdfunding campaign.